C-TPAT AND IMPORTING INITIATIVE | Pedraza Freight Brokers, Inc.
C-TPAT, Customs trade partnership against terrorism program is one of the major initiatives driven by the United States Customs and border protection pivots around the development of the cooperative relationship between the business community and Customs. The focal point of this initiative is to strengthen the security on the borders and to improve the security of the total supply chain. This program has a goal of ensuring a smooth flow of the legitimate trading practices. This initiative forms a pillar in support of the global war on terrorism. First, of a kind, this initiative focuses on the supply chain to make it more and more secure so that all the partners involved, including suppliers, customers and employees avail a safe and secure supply chain. This initiative is known to have opened doorways for fair trading practices and making the transactions on the border smoother and chaos free. C-TPAT certifies partners through its processes and these certified partners get to avail reduced wait time on the borders and minimized the number of inspections. The C-TPAT specialist in the supply chain can offer services in the capacity of CBP liaison to facilitate validations, procedural updates, communication and determine training needs. The access to these C-TPAT members is given via verification interface. One of the sole purposes of this program is to ensure the security breaches, that has been one of the menaces as far as international inbound or outbound cargo is concerned, along the borders are minimized. The initiative driven by the CBP works in collaboration with importers, customs brokers, freight forwarders and the manufacturers in order to implement major security procedures as well as identify the best trade practices. The CBP issues certifications to the associated partners and these partners make sure that trading is legally compliant, and no security breach occurs whatsoever. The certified partners hold special preference as their contribution towards secure trade is known and acknowledged by the regulatory authorities. The world is known to have been facing an accelerated number of risks involving thefts, illegal practices, piracy and so much more. Global trade has been looking at alleviated security risks and this is one of the reasons that there has been a constant scope for improvement. Many companies have been positioning their respective supply chains to tackle these security issues for a long time so that new opportunities can be created. The mapping of entire cargo flow, conducting the vulnerability assessments and identifying business partners requires a security plan as to mitigate the risks for a long term. There has been a constant need to make the supply chain more resilient, well managed and secure. The supply chain is extensive and securing the same has been a task. The security of supply chain is combatting the risks such as that of terrorism, theft, and piracy so that the business in particular and the world, in general, can be transformed into a better place. C-TPAT is one of the links towards the same goal and the initiative aims at constant improvement in the security of the supply chain network to keep illegal activities at bay. Securing the supply chain with the aid of the C-TPAT involves validation of the supplier credentials, screening the cargo transit and related activities. The concept if the C-TPAT revolves around the goal that businesses should take responsibility for the security via their respective supply chains. While importing and exporting it becomes crucial that the supply chain is not used for the illegal activities for example in the transportation of weapons for mass destruction. The threat of terrorism has been looming in the countries for a long time and supply chain has been manipulated in the past as well. This gives a greater scope to the protection of the supply chain. Initiatives like the C-TPAT make sure that the security stays in focus. The C-TPAT partners are therefore thoroughly examined and deemed fit to continue the collaboration. Import and export businesses across the globe can benefit if the supply chain is secured to the extent that the business practices remain fair. Air, rail, road and sea carriers have already incorporated the C-TPAT program to keep the security protocol intact. The specific requirement to obtain a C-TPAT validation. Particular necessities for this validation shift, most of the companies looking to get the certification need to that their supply chains are secure from the Origin point to the distribution point. The C-TPAT members can include carriers, importers, brokers as well as the manufacturers. These aspiring parties must guarantee the security practices hold their integrity, making sure that the supply chain partners as well their other trading clients follow the same practice as well in letter and spirit. 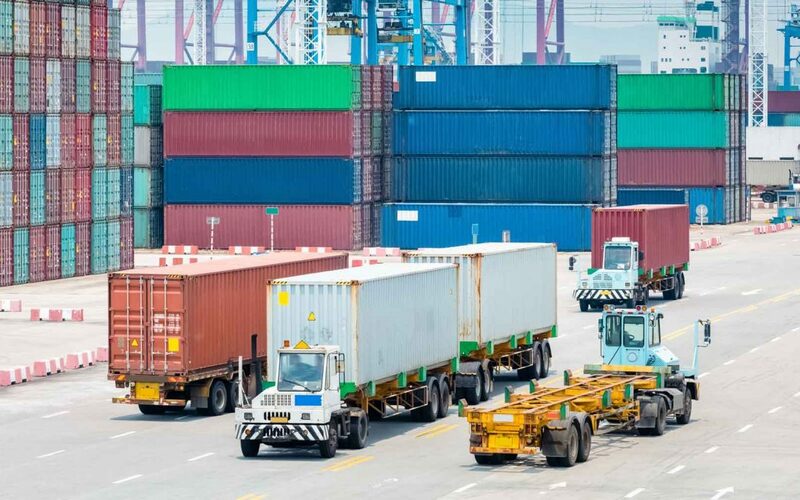 In the event that these supply chain partners and other clients demonstrate their seriousness regarding the security, they are by and large thought to be generally safe and can get many advantages subsequently, from favored treatment at fringe intersections to less number of investigations. The C-TPAT memberships offer benefits to the logistics companies as well as the shippers. C-TPAT merchants are less likely to be checked for the compliance examination. These partners are trusted, and they reap the benefits in the form of less time. Systems for evaluating and overseeing inventory network coordination are strengthened. Shippers are guaranteed that subcontractors are certified as well and indulge in fair trading practices only. Products are less inclined to be deferred or harmed because of Customs inspections. C-TPAT members may encounter less of physical exams. There is a reduction in exams, not an exclusion from those. In the event that your shipment gets chosen for an exam, CBP will physically open boxes and take a gander at your freight. In case the shipment is isolated for physical verification, C-TPAT members have front-in-the-line benefits over merchants who are not enlisted in the program. This is an enormous advantage for shippers. One of the best advantages of C-TPAT “is that it raises the reputation of any organization and secures business with other C-TPAT members. The regulation scape keeps on changing dynamically. CBP tries to keep partners updated on what to expect and what new to comply. The C-TPAT partners invited to attend seminars wherein they are informed and kept updated about the latest developments in the world of logistics and distribution. We, at Pedraza Cutomhouse Brokers, Inc., are one of the C-TPAT partners and offer legally compliant services to our customers. One of the perks of availing our services is that we have all the benefit bundle available in our service offering. Our services are a hundred percent in compliance with the rules and regulations, as the knowledge repository we possess covers every crucial requirement as far as logistics and distribution are concerned. The time is saved and this, in turn, saves the costs involved. We offer better control over the international shipment by providing real-time tracking information of the same. Our clients can sit back and relax while we undertake their work for them. The tracking is possible from every remote location and customer can count on us for efficiency and effectiveness. We have been maintaining the best practices in the segment and have always complied with the regulations laid time to time. We stay updated with what is new so that our clients can avoid the last-minute surprise. We foresee the situations and offer flexible solutions to our clients. Our services are fast. We offer an end to the continuous quest for best services. Our clients can enjoy the same day services in case of extreme priority. We offer the expedited services from Europe to Mexico in just twenty-four hours. We are happy to offer the free consultation to the clients as well wherein the client can expect a solution to whatever problem they are facing and a guide to best trade practices. We handle the most chaotic part of your logistics- The paperwork. We ensure that all the paperwork is filled accurately and leave no stone unturned to keep the shipment on the go. There is never going to be another missed deadline. Our experts have vast knowledge about the entire paperwork in almost every kind of system. We are an answer to all your logistic needs. From the point of origin to the point of deliverance we have an insight and the best possible practice to make sure that your business never loses on reputation. We are in the market with the best IT-tools that makes it possible for us to track the NAFTA status of the part numbers of our clients. From ground to sea and then to air we offer the most expedited services in our class. The reputation we carry speaks volumes and we make sure that the trust put in us stays intact.